A small light eye hook was bonded into the nosecone bulkhead. The nosecone bulkhead was epoxied 1 inch into the nose cone. This allowed the nosecone to be attached with shear pins and not have the sheared ends drop into the empty nosecone after shearing. Fiberglass 6oz weaved cloth was used to laminate the nosecone bulkhead in place to ensure that the ejection forces do not rip the bulkhead away. 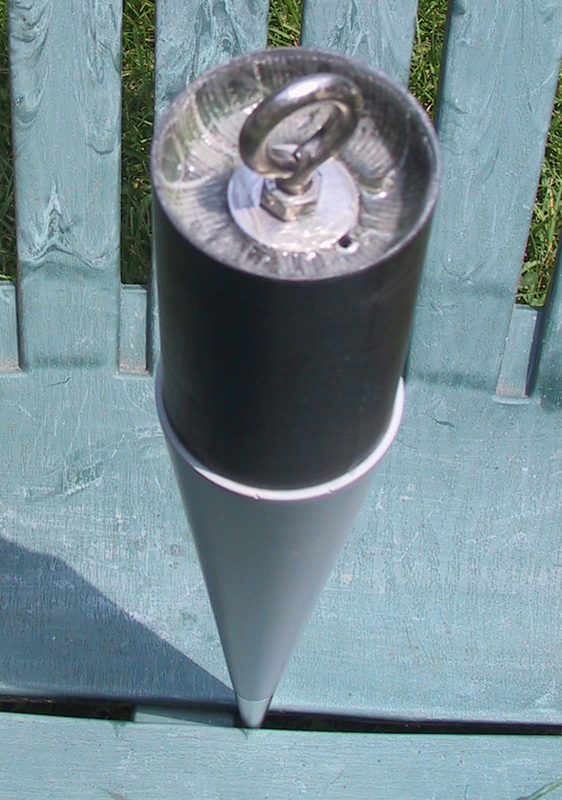 A small 3/32 hole was drilled in the nosecone bulkhead to allow the air pressure to equalize at extreme altitudes. Some minor sanding of the fiberglass and the nosecone was set aside for final painting. 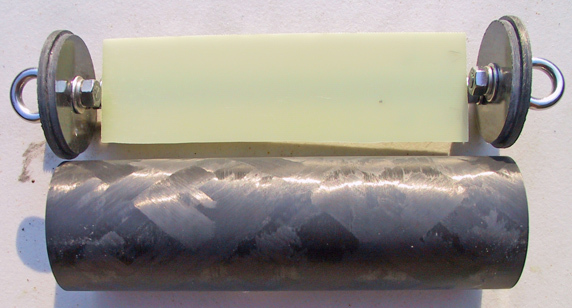 A piece of 1/8-inch G-10 fiberglass was cut to size. It was bonded and laminated to a piece of brass tubing to complete the electronic sled. The Parrot altimeter is so small that it is difficult to install power on/off and arming switches that can be accessed without disassembling the rocket. The electronics and ground testing still need to be completed. Also, the rocket still needs to be named. The end of August brings the end of summer and hopefully in September this final work can be completed.